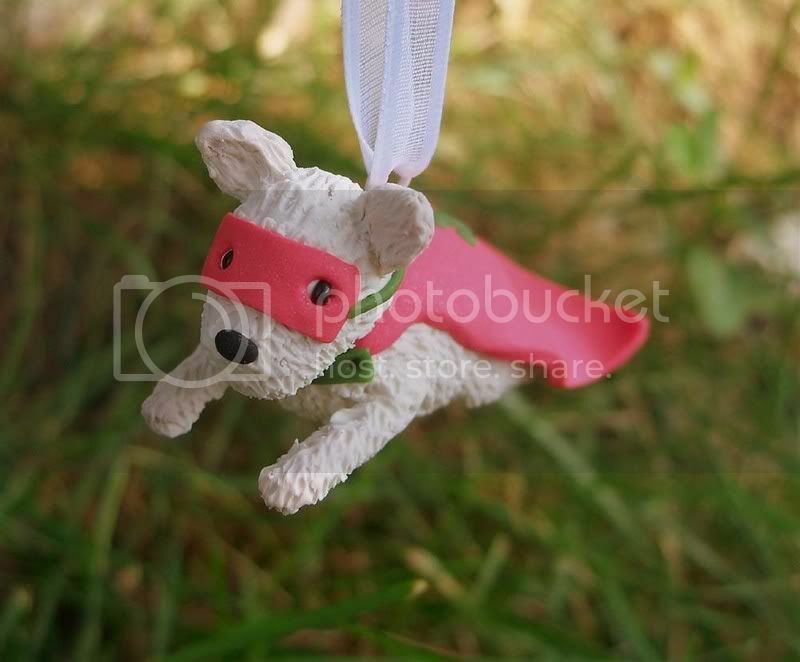 This little puppy is ridiculously cute and hand crafted by IttyBittiesForYou. 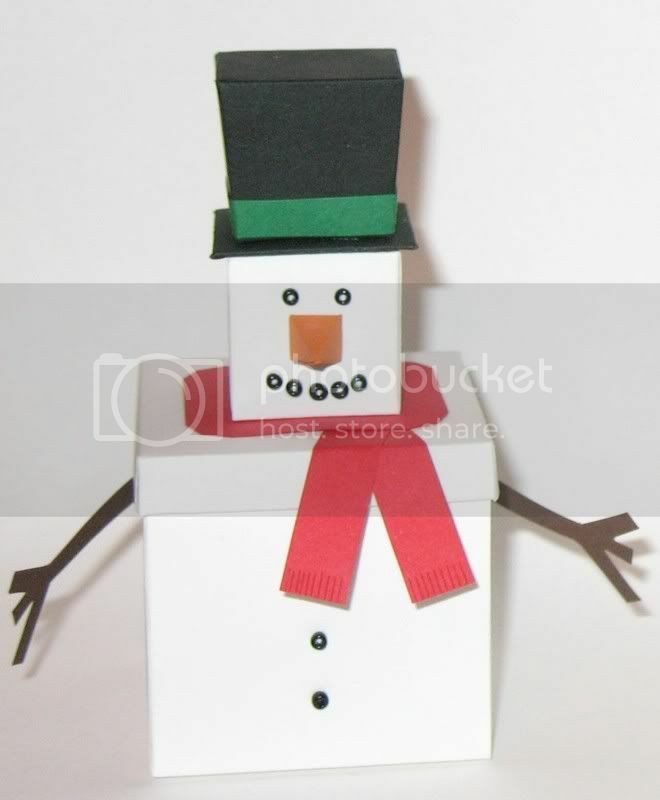 These little snowmen and snowgirls by DinnerTimeChimes are too cute! The details are just perfect. 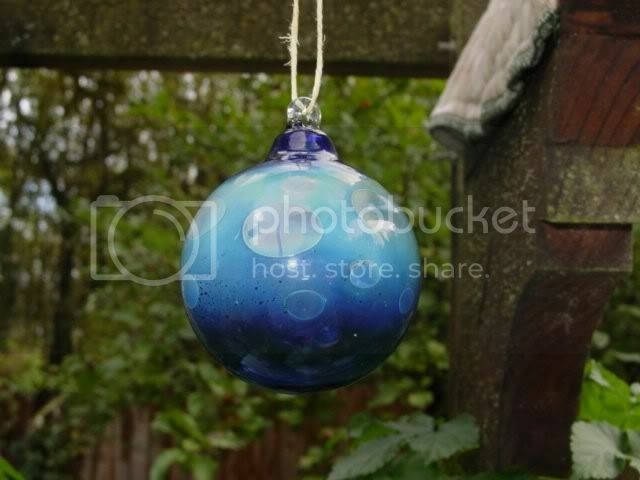 For a more sophisticated look, check out this gorgeous handmade glass ornament by InfiniteCosmosGirl. And of course a fabulous ornament needs great presentation, right? LOOK how cute these boxes are!! This is created by FavorMakers. Thanks for featuring my ornament made from a recycled light bulb! Beki, I'm so glad you ventured out of lurkdome and left me a comment on my blog. I really appreciate your visit. Your banner is so pretty and I'm enjoying the Christmas music very much. We are HUGE Chrismtas music lovers and have hundreds and hundreds of songs that we listen to and make into our own CD's. I enjoyed the ornaments you featured - love that puppy! That lil doggie is too cute! 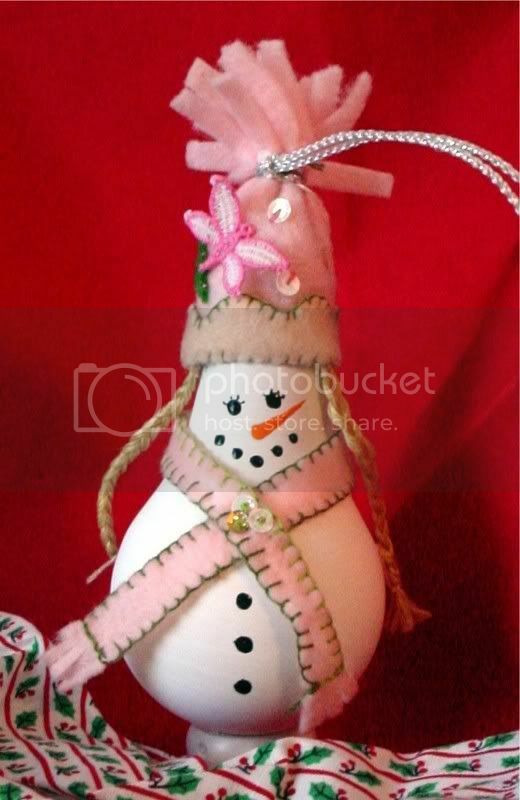 Those ornaments are almost enough to lead a person to start a snowman collection! Good finds... gotta love Etsy!